Spacious living inside and out. 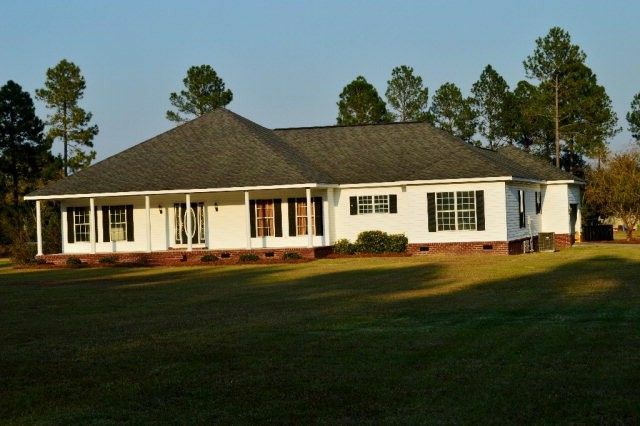 This beautiful traditionally-styled home is appointed on 3.01 acres just minutes from Vidalia and Lyons. Over 2600 heated sq feet give you plenty of room for entertaining and comfortable living. Large open kitchen and dining complete with stainless appliances, walk-in pantry and bay window flow perfectly into the adjoining living room. A separate dining room could be used as a fourth bedroom or office space. You'll love the newly remodeled master bathroom with walk-in closet and floor to ceiling tiled shower and jetted tub. Outside you'll enjoy the covered porch overlooking the salt-water pool. 3 or 4 Bedrooms and 2.5 Ba. This is a must see. Call Tammie Gibbs @ 912-293-2899. Directions: Take Hwy 280 to McCords from Vidalia toward Mt. Vernon, Turn right @ McCords onto Hwy 29 and continue for approx 1.5 miles. House is on right. Sign in yard.